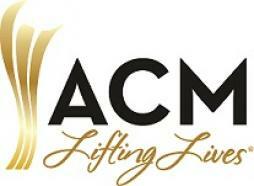 Craig will be joining the campers of ACM Lifting Lives for a very sepcial performance to close out the event on June 19th at the Grand Ole Opry. The Camp, a week-long residential program open to individuals with Williams syndrome, talented in music from around the U.S. and Canada, has a dual purpose of studying Williams syndrome while providing music enrichment through performance and education. ACM Lifting Lives funds the costs of the Camp in addition to providing scholarships to several campers, enabling the Vanderbilt Kennedy Center to advance its mission of improving the lives of individuals with developmental disabilities and their families through research, training and service. Campers will participate in a songwriting workshop and recording session, along with other music-oriented activities, culminating in a live performance on the world-famous Grand Ole Opry. Throughout the week, campers gain invaluable experience through visits from top-tier country music veterans. Prior camps have featured artist visits from Lauren Alaina, Gary Allan, Kelsea Ballerini, The Band Perry, Dierks Bentley, Big & Rich, Lee Brice, Kix Brooks, Luke Bryan, Brett Eldredge, Hunter Hayes, JT Hodges, Julianne Hough, Casey James, Chris Janson, Jana Kramer, Little Big Town, Love and Theft, Scotty McCreery, Lance Miller, Eddie Montgomery, Maddie & Tae, Maren Morris, David Lee Murphy, Jerrod Niemann, Jake Owen, Eric Paslay, LeAnn Rimes, RaeLynn, Rascal Flatts, Darius Rucker, The Swon Brothers, Carrie Underwood, Paul Worley, Wynonna, Chris Young and more.